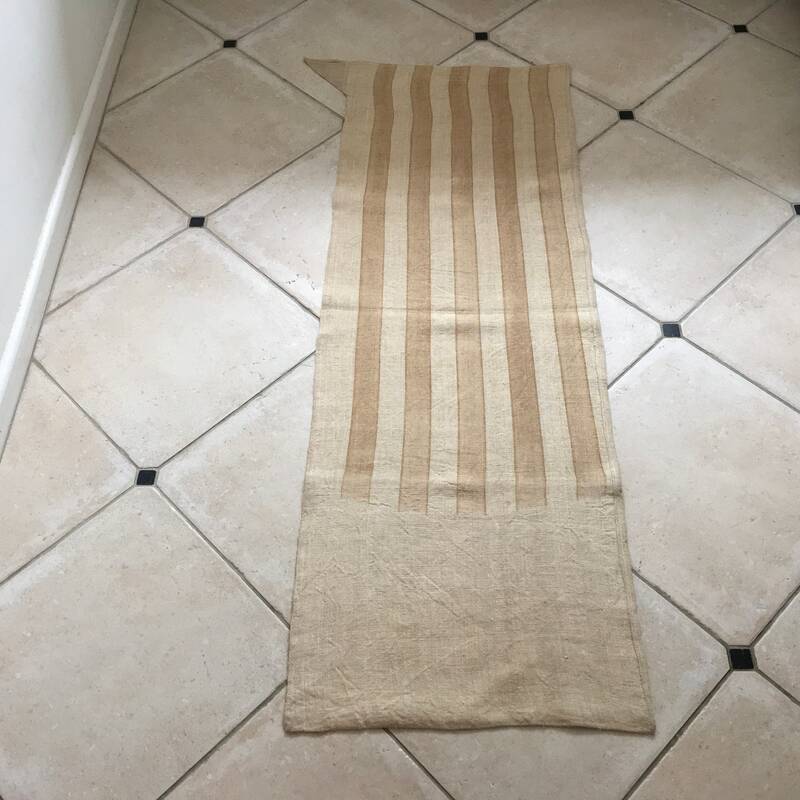 This vintage linen grainsack has been handspun and homespun pre 1940, it is very durable, with machined seams, the fabric has a wonderful texture to touch. 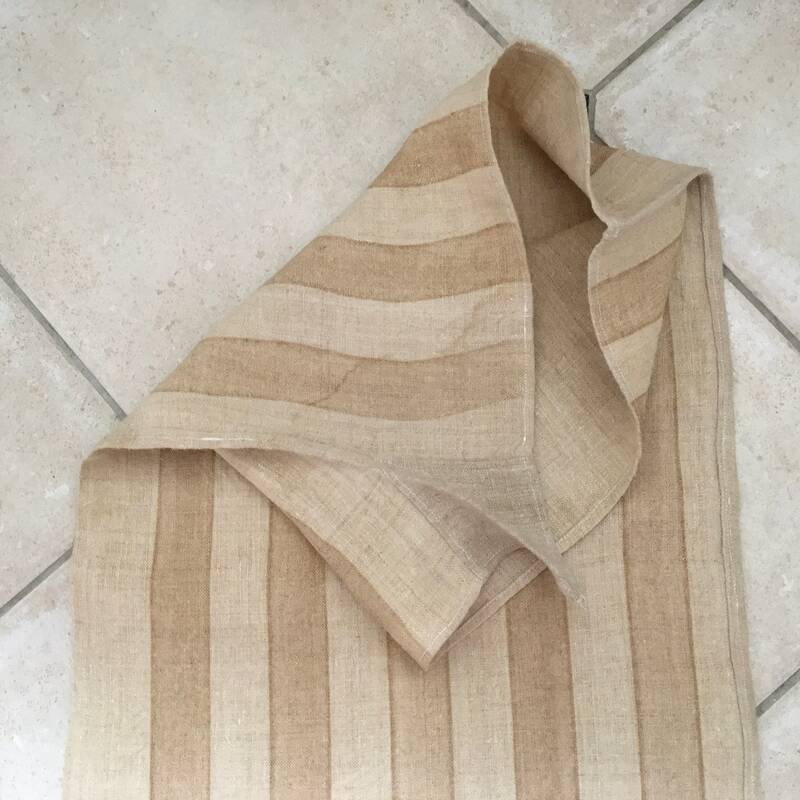 Mid-weight vintage Hungarian twill linen, this grainsack is beige with caramel stripes, these stripes have been lasered on to the fabric to create a rustic look. 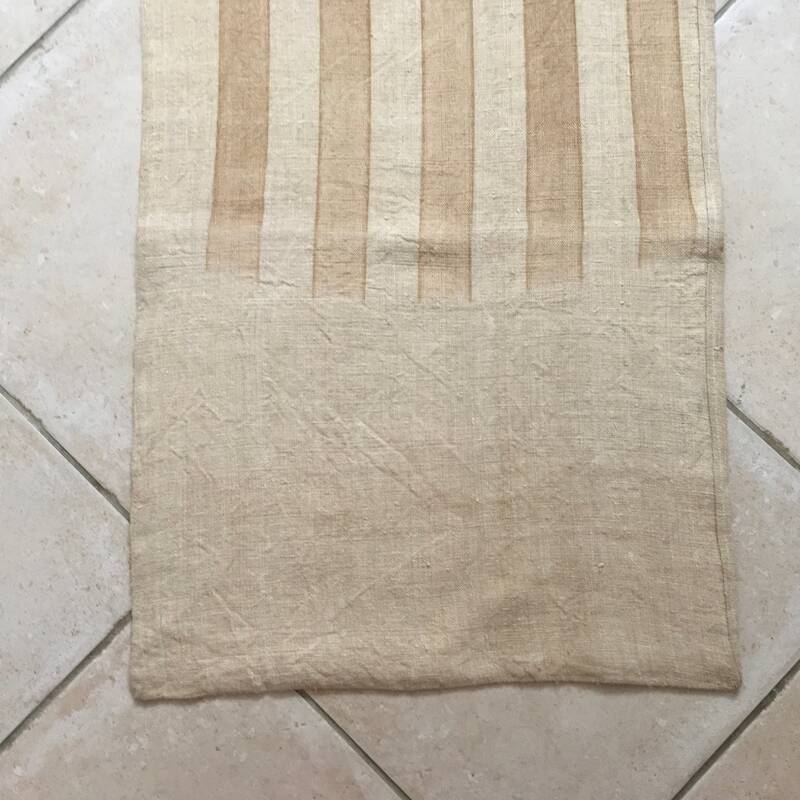 Use this fabric for upholstery projects, laundry bag, cushions, handbags, lavender bags and many other sewing projects. 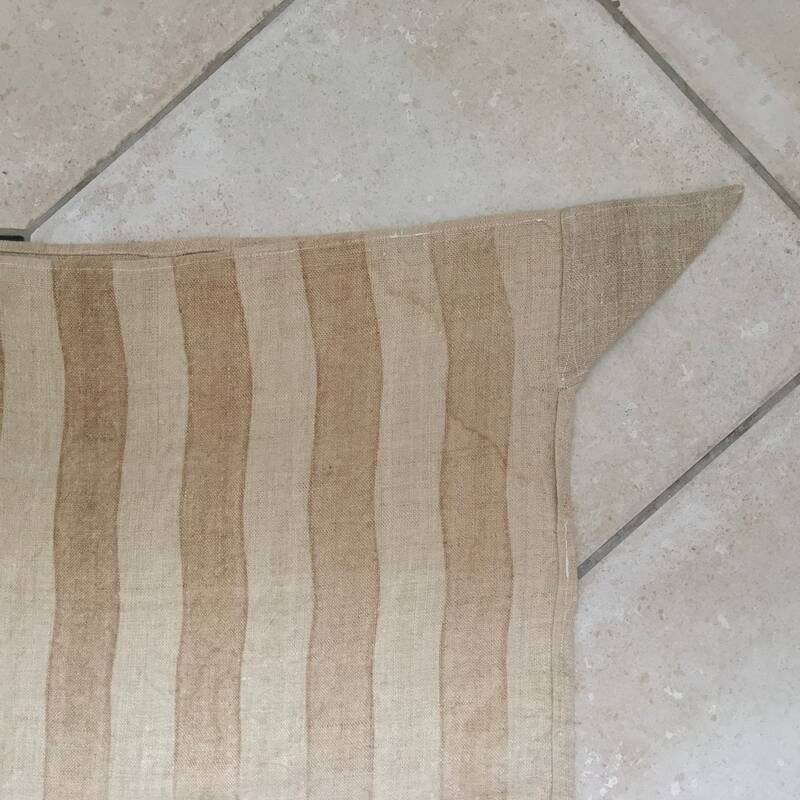 The stripes will dramatically fade if washed, so washing is NOT ADVISED. 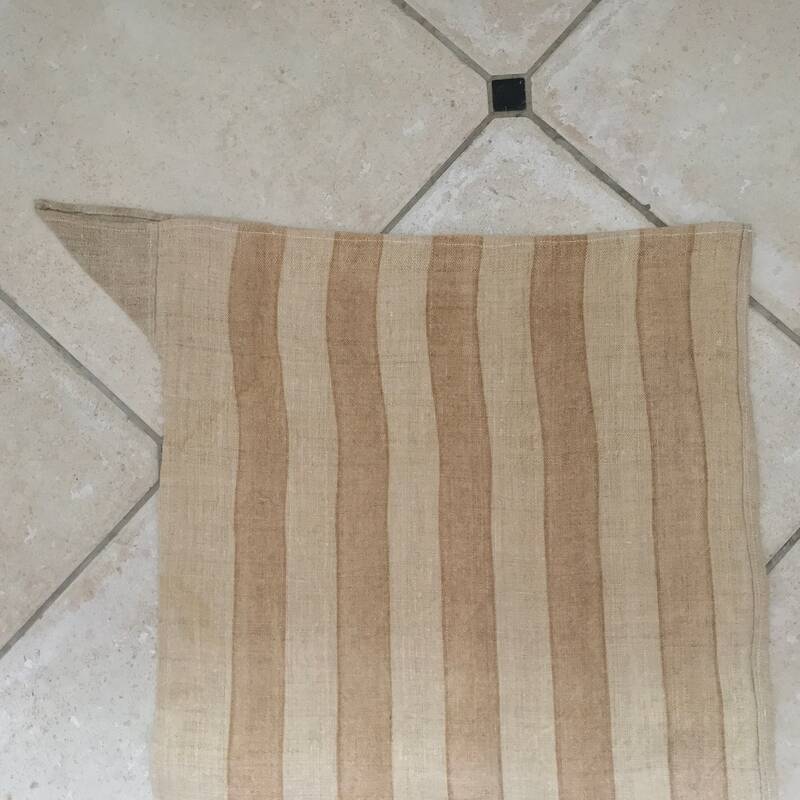 See photos for design details, the stripes cover 3/4 of the outside of the grain sack. 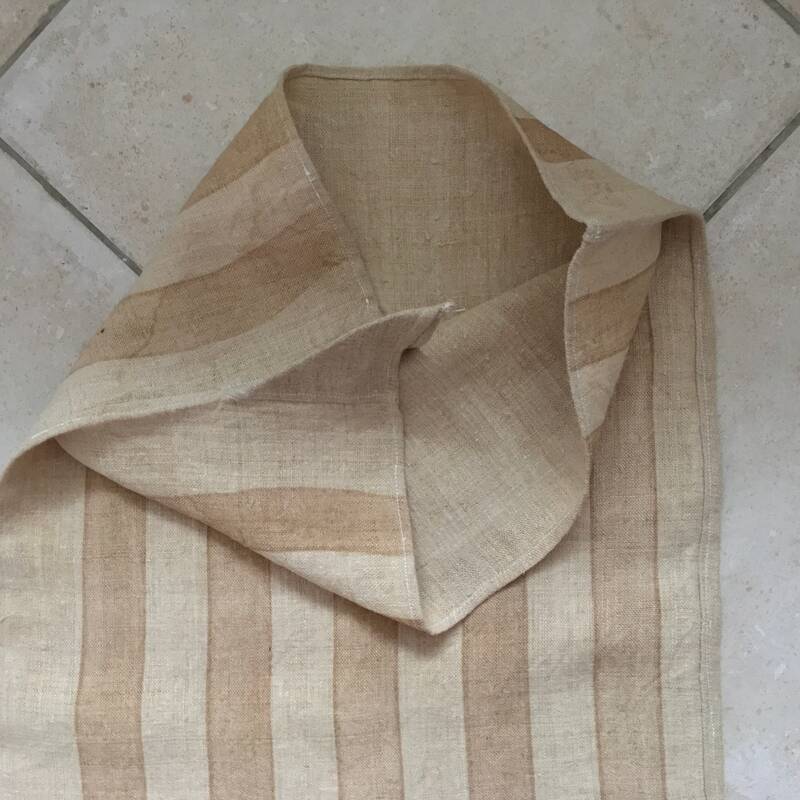 The inside is natural linen sandstone colour.